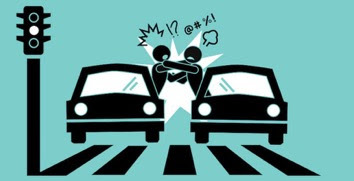 I first observed road rage when I was in high school. I was riding with my easygoing classmate Ken. While driving around Northern Utah, Kenny would carry on a cheerful conversation with his passenger. However, he’d regularly interrupt himself with a shocking torrent of profanity – directed at the hapless little old lady in the Ford Pinto that Kenny had just cut off. I haven’t seen Ken since the 1980s. Nevertheless, I’m sure by now he’s on the same industrial-strength blood pressure medication as my mother. For countless millennia, humans evolved as members of hunter-gatherer tribes. In contrast, we’ve been driving cars for barely a century. There’s a serious disconnect between our primitive wiring and the modern stimuli we face behind the wheel. As a result, we all go through life with a chip on our shoulder. Road rage happens because some people’s chips are particularly easy to knock off. 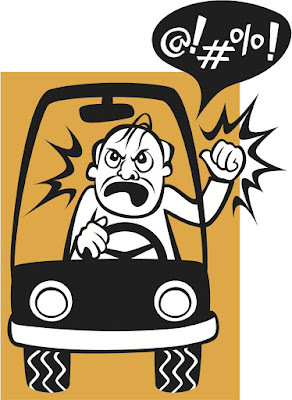 I confess that I used to suffer from road rage. Not the virulent strain of anger mismanagement that afflicts people like my friend Ken, or my son Oliver when he plays videogames. But enough to make driving unpleasant. In recent years, however, I’ve embraced mindfulness meditation. 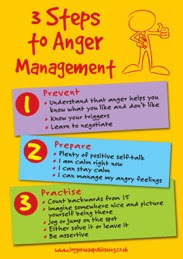 I've learned to modulate my initial reactions to the thoughts and feelings that arise during the day. Driving actually provides an ideal test course for examining your responses to frustrating situations. Just compare the warm fuzzy feeling you get from stopping for a friendly pedestrian in the crosswalk, versus your burning indignation when someone else pulls into “your” parking spot. When you face the road with generosity and humor, you arrive at your destination healthier and calmer. Don’t get me wrong, I’m not one of those Pacific Northwesterners who will sit forever at a four-way stop pantomiming “No, you go first.” And I don’t let every harried parent coming out of the McDonald’s parking lot cut ahead of me. That would disrupt traffic. Instead, I use the experience of driving to remind myself we’re all in this together. If you surveyed my children to identify the most memorable stories in our shared family history, all three would include an incident that happened in the parking lot at Ezell’s Famous Chicken five years ago. 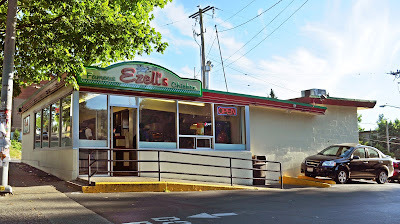 Ezell’s is a Seattle landmark. It’s in the Central District, across the street from Garfield High School and its lavish Quincy Jones Auditorium. Ezell’s serves excellent fried chicken and other comfort food. 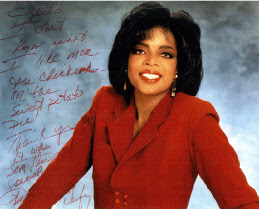 As you stand in line, you can read the endorsements on the wall from Oprah and similar luminaries. Sadly there’s nowhere to dine in at Ezell’s, and only a tiny parking lot. 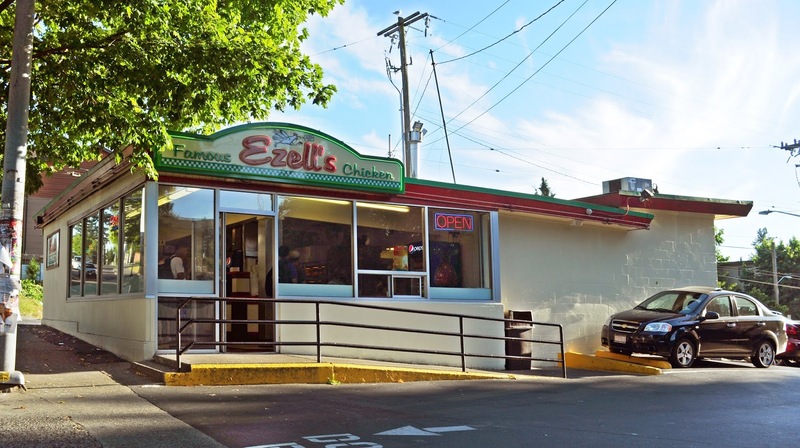 But Ezell's is conveniently located just down Martin Luther King Boulevard from the Seattle apartment we lived in before moving to Bellingham. Ezell’s was my go-to place for fast food on those frantic evenings when I had a last-minute court filing, then picked up the kids from after-school care. Late. Again. (Sorry, Miss Melonie. We were lucky to have you looking out for the kids for five years.) On this particular occasion it was raining, everyone was hungry and angry and needed to go to the bathroom, and the staff at Ezell’s took forever to get our order right. 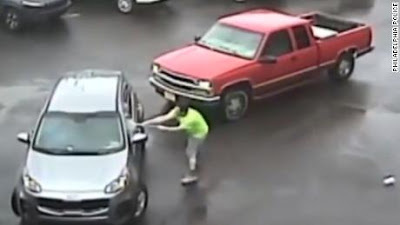 When I finally got back outside, I discovered the minivan was blocked by a parked car containing two women and a toddler. The driver was shouting into her phone obliviously. I honked a few times. Nothing happened. My kids were climbing the seats. I was losing my temper. Eventually I got out of the minivan. I knocked on the car door to get the woman’s attention. She leaped out and started screaming about her [expletive deleted] new car. I responded angrily. When I attempted to photograph her license plate, she tried wrestling the iPhone out of my hand, and started punching me. (She outweighed me by at least seventy pounds.) A bystander finally calmed things down. We returned to our cars, still fuming. Back in the minivan, my children were terrified and crying uncontrollably. Back at the apartment, no one was interested in eating fried chicken. In fact, no one was interested in going back to Ezell’s ever again. One of my young children confessed the entire experience made all black people seem scary. A child whose best friend at school was black. Rosalind seemed particularly affected by what she’d seen. I texted her therapist for advice. She suggested we come up with a story about why the other driver might have been so upset. So I sat down with my daughter, and together we wove a narrative about a woman who was excited about her brand new car, but worried about bringing dinner home late to her waiting husband and other children. 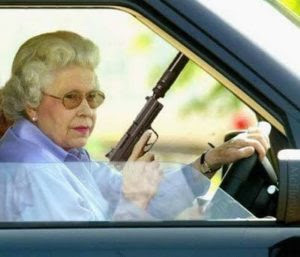 That’s why the woman was on her phone and couldn’t hear me honk. 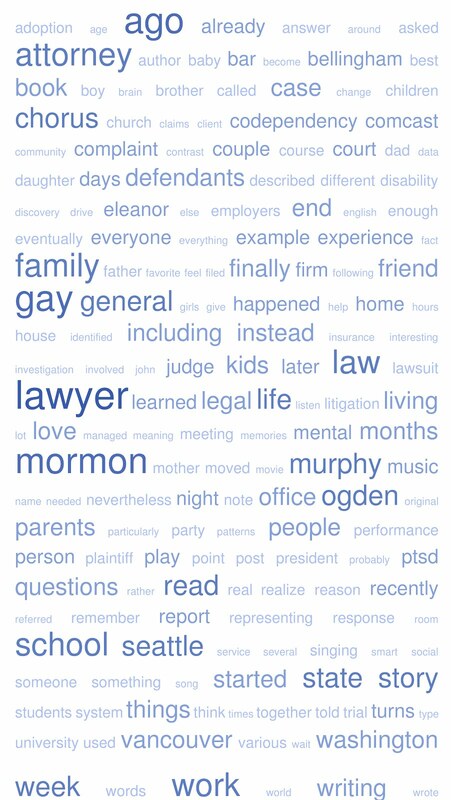 By telling a story and putting ourselves in another person’s shoes, we reduced the impact of our traumatic experience. As I recently I wrote in “Woke Humans,” biologists believe the human brain’s greatest evolutionary leap occurred when we developed our capacity to see things from another person’s perspective. Sharing the road gives us an opportunity to practice empathy every day. 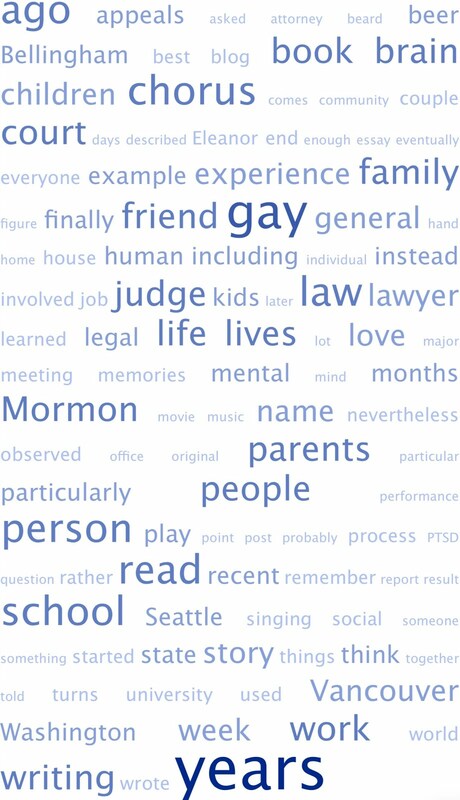 See, I really am mentally ill. Or maybe I'm just a tired single dad. Vancouver drivers' greatest failing: when the light turns red, at least ten cars think they now get to turn left.